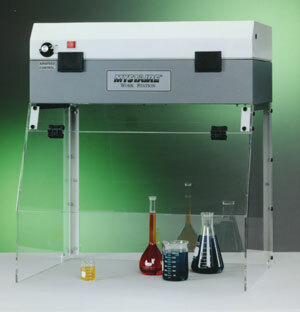 Economically priced and extraordinarily portable, the FE-2620 offers 3600 visibility and a broad range of filters for protection from the most commonly used chemical solutions and powders. Economically priced and extraordinarily portable, the FE-2620 offers 3600 visibility and a broad range of filters for protection from the most commonly used chemical solutions and powders. This economical unit provides the same stringent protection specifications as our standard Ductless Fume Enclosures.